HVAC (Heating, Ventilation, and Air Conditioning) covers the technology that provides environmental comfort. HVAC systems control the ambient environment through the correct temperature, humidity, air flow and air filtering. Based on the principles of thermodynamics, fluid mechanics and heat transfer, these systems are used commercially in offices, shopping centres and data centres – anywhere that could be affected by thermal comfort. The design of many building types such as large industrial and office buildings, IT data centres, manufacturing facilities rely on these systems to achieve the best environmental conditions for people, equipment or products. Heating ensures the correct thermal conditions are achieved, while ventilating is the process of replacing air in any space to provide high indoor air quality. It includes both the exchange of air to the outside as well as circulation of air within the building. Air conditioning can refer to any form of technology that modifies the condition of air. Refrigeration is sometimes added so the abbreviation becomes HVAC&R or HVACR. These systems are used in businesses such as cold storage and distribution warehousing where high temperatures could have an adverse affect on product safety and quality. Energy efficiency is an important factor for most businesses and routine maintenance requires temperature and humidity measurements to check that HVAC systems are operating properly. Heating, ventilation and air conditioning equipment consumes a substantial portion of energy in commercial buildings depending on climate and other factors and as concerns about the environmental impact of energy generation and uncertainty over future energy prices increase, efficiency improvements in HVAC equipment become more enticing. 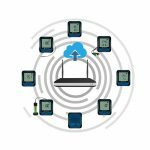 Comark has temperature and humidity measuring instruments that help maintenance, estates and facilities staff to monitor the buildings under their management. Use thermometers or data loggers to measure ambient conditions to make sure the thermostat settings are being achieved throughout buildings and that temperatures are correct. 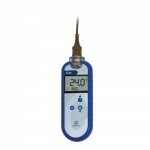 Humidity meters measure relative humidity and can be used to check that comfortable conditions are attained and maintained. 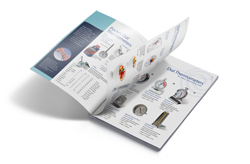 The Comark range of pressure meters is suitable for gauge or differential pressure and positive or negative (vacuum) pressure measurement. 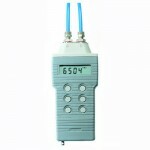 These instruments are ideal for applications like HVAC, process pressures, laboratories and clean rooms, through to service and maintenance and the calibration of other instruments.